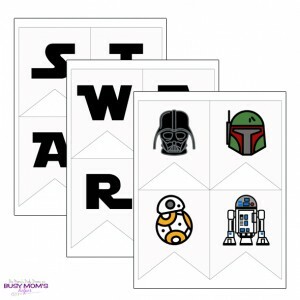 Perfect for celebrating Star Wars Day or a Jedi birthday party, this printable Star Wars banner includes all 26 letters of the alphabet, plus four cute character icons. Star Wars is super popular right now and it isn’t going away anytime soon. We might be between movies, but May the fourth is always a big geeky celebration. It originated with a pun (May the fourth be with you) but now every year geeks worldwide celebrate. In my house, I usually make something fun for supper that I can rename to pretend it’s from Star Wars. We watch one of the films as a family and maybe let the kids stay up a bit past bedtime. Since The Force Awakens came out, my family has been in love with the new little droid BB-8. He’s pretty cute, so I had to include him in this printable. Decorate for a party or use this banner as a fun photo backdrop. I made the banner to simply say “Star Wars” and include four different character icons. If you want to say something else, there is also an extra set that includes the whole alphabet. That set also has an exclamation point and a blank square, just in case. The characters included are Darth Vader, Boba Fett, R2D2, and BB-8. I wanted an even mix of bad guys and good guys. I guess so there would be balance…? I recommend printing the banner pages on regular 8-1/2”x11” card stock. Cut out each of the flag pieces on the black lines and then use a single-hole punch to make holes in the top two corners of each flag. Use ribbon or string to run through the holes and hang up the banner. Mine is two pieces that are each about 4 feet long. A single ribbon should work too, but you might need to use more tape. I just stuck mine up with Scotch tape. It’s nice and light, plus I can move it around without messing up the walls. 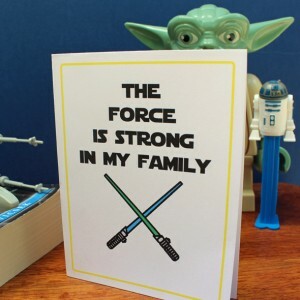 Celebrate Star Wars Day on May 4th with the whole family. 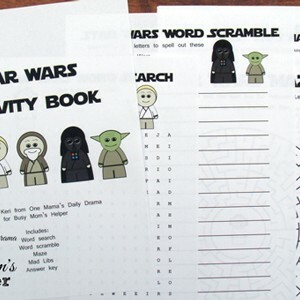 Kids and adults will enjoy this Star Wars printable activity book. It includes four pages of puzzles, plus an answer key. I’m Keri from One Mama’s Daily Drama and I’m excited to be sharing with Busy Mom’s Helper readers today! 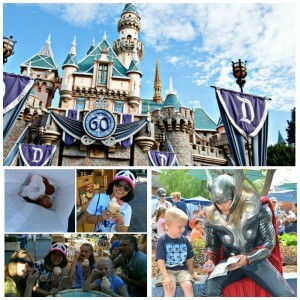 I blog about crafts, recipes, printables, and my geeky family. 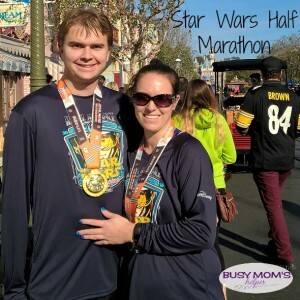 Star Wars has been a favorite since I was a little kid, so naturally, I wanted to share that with my own kids. We usually make a bunch of snacks and see how many of the movies we can get through in a day. My kids enjoy puzzles and games, so this year I made an activity book for fun. The activity book is a single document that prints out on 8 pages of regular 8-1/2″x11″ computer paper. If you need to go easy on ink, you can skip the cover. I have to confess something here. The first time I made an activity book, I forgot to make an answer key. After a few months, I realized that I couldn’t remember the answers! Oops. So this time around, I most definitely made a key for the first three pages. 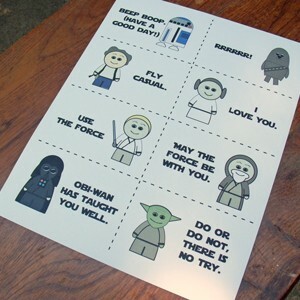 If you enjoy this Star Wars printable activity book, be sure to check out some of my others, like my LEGO Star Wars lunch box notes.